With tasteful decor and a Mexican colonial style, Caribbean Casa is situated directly on the ocean walkway overlooking the turquoise waters of the Caribbean Sea. The location could not be better! 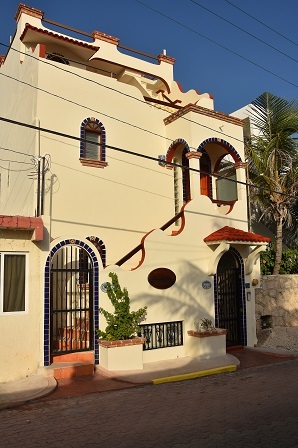 Close to town and yet just on the edge of the activity, it is an easy walk to the many restaurants and white sand beaches that Isla Mujeres is famous for. 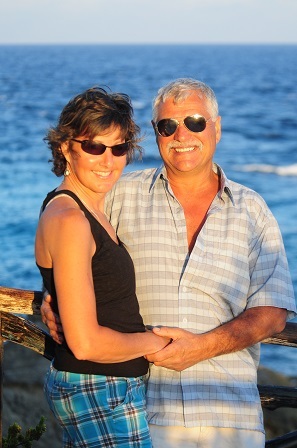 Caribbean Casa offers two beautiful Colonial style apartments. Both Casita Isladise and Casita Sonrisa are equipped with full kitchens, living and dining areas, cable TV, Wireless Internet and much more. Each casita has unobstructed oceanfront views with furnished terraces, king sized beds, air conditioning and walk-in showers. Casita Sonrisa has private access onto the ocean walkway while guests in Casita Isladise enjoy the plunge pool on the sunset terrace and 360 degree views from the rooftop patio. 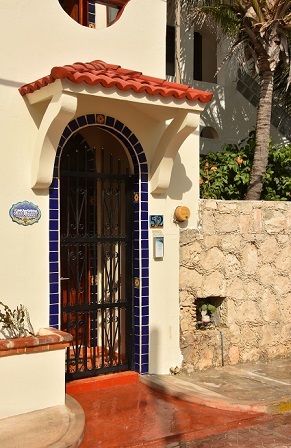 Whether you have been downtown shopping & dining, or relaxing all day at the world famous Playa Norte beach, it is only a short walk home to Caribbean Casa along the malecon or quaint Avenida Juarez where you can relax and enjoy the tranquil view with a drink or snack from one of your own furnished and private balconies.